Protecta® EVO® Mouse is designed for fast service and fast results. 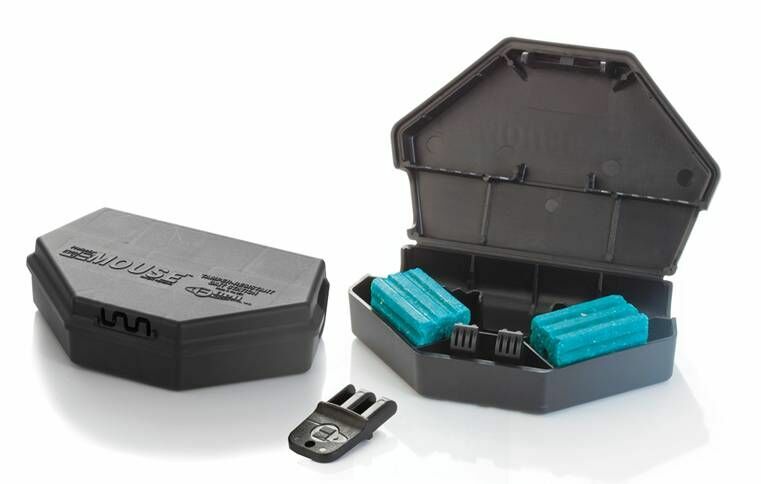 It features the EVO key for quick entry and servicing and holds either BLOX or soft bait. 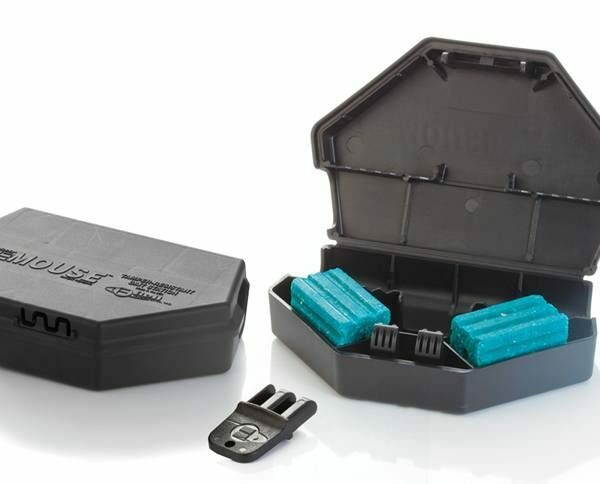 It is a versatile and time efficient mouse-sized bait station – expertly designed for professional results. Fast Service: EVO Mouse utilizes a single locking mechanism to provide quick servicing, combined with increased bait storage capabilities. The station can hold two BLOX of bait or has rods for soft bait – reducing service time because of its easy accessibility and versatile baiting options. Versatile Design: Triangular-shaped with angled entry holes, it fits flush against a wall or in a corner. Designed with a rounded edge – the station lines up against wall coping for a tight fit. Suitable for both indoor and outdoor use, its small size makes it ideal to use under pallets, behind appliances or in cupboards. Place bait stations wherever rodents travel – around the perimeter of buildings and along rodent runways.